Saturday night was a good one. 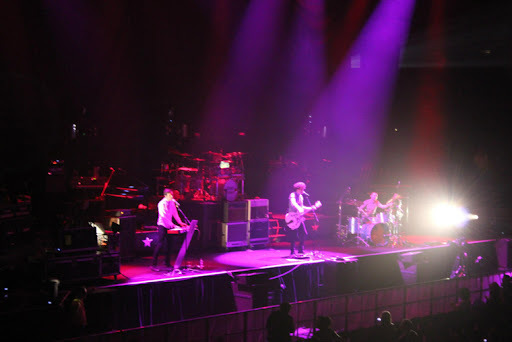 I saw Evermore, INXS and Matchbox Twenty live at Rod Laver Arena. It was quite the show, with hit after hit played. I think all bands kept up the momentum by playing a good range of their hits to not let the audience get bored with new stuff. 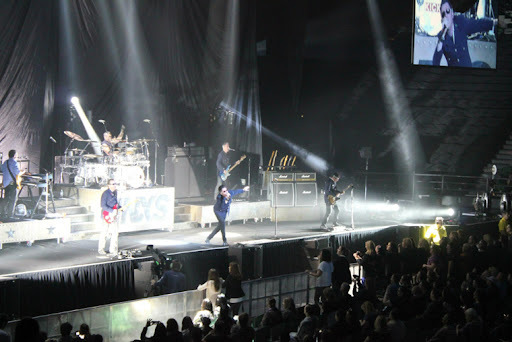 The audience was a mixed age group – all passionate and singing along, especially to INXS. Please note, my photos turned out really awful on both my camera and phone because I was quite far away from the stage (row A does not necessarily mean front row!) 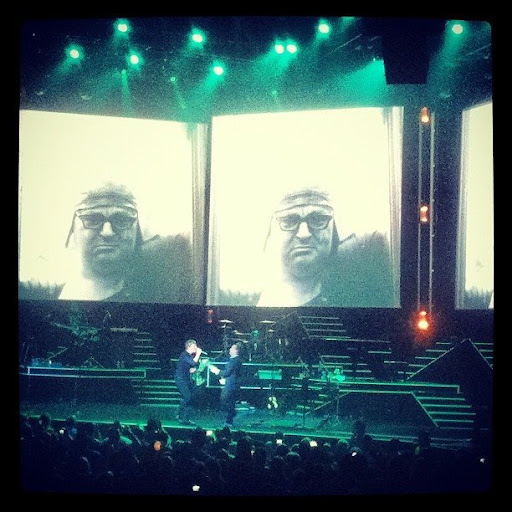 and so all of the photos below were taken by my friend Christine who went to the show on Sunday 21 October. She blogs here. Thanks Chris! I know that's cheating a bit but I did not want to put up a review without photos. Those first two photos above were taken by me though! Evermore kicked the show off – seeing them reminded me that I should go back and listen to Running again. They had a great sound. I’ve ticked another band off my bucket list now. INXS. 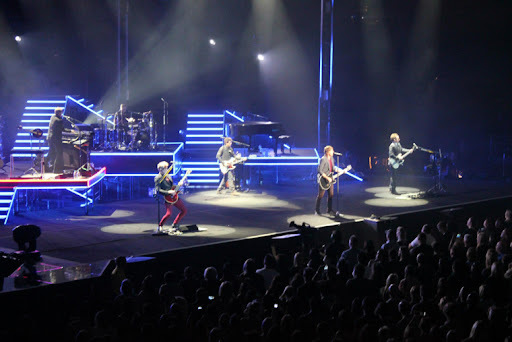 (I had seen them live, briefly in 2010 when I saw Rob Thomas – he sang a few songs with Rob.) I’ve been a fan of theirs for quite some time – I think it was in 1999 when I bought a greatest hits CD. I was never really into them when Michael was alive – I put it down to being too young to appreciate them and having foreign parents. My love for Aussie (some may say bogan) rock came when I was 17. I was old enough to not let my peers influence my music tastes and so I began to explore music more widely. I also finally stopped staying true to the current ARIA chart at the time started and delving into the classics. I remember when I bought that CD - I felt so grown up. 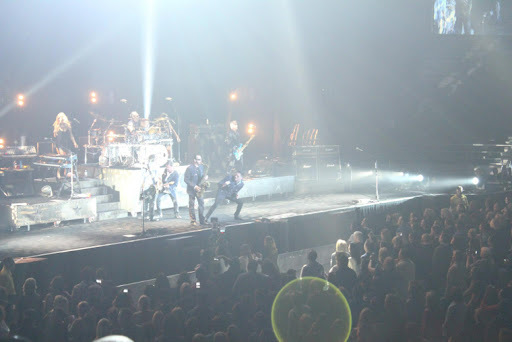 Seeing INXS live was a big highlight. It was upbeat and nostalgic, and I was so impressed they played for 75 minutes as a support act. They played so many hits, their new lead singer Ciaran Gribbin was on fire, and the whole band got involved – talking to the audience, instrument solos and running around the arena (that was my mate Kirk!). Ciaran was vocally appreciative of fronting the band, thanking them and the audience for having him. I expect he would have felt a lot of pressure, and I really congratulate him for doing a great job. 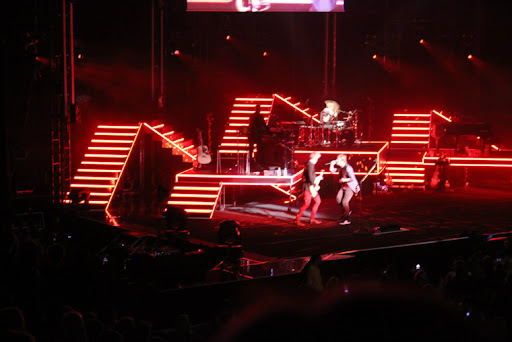 The band featured two female singers, one of which sang Kick solo. She brought a great new sound to the band. It was a real joy to finally see them. 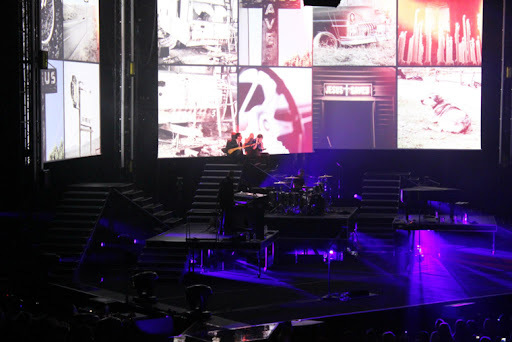 Matchbox Twenty also played so many of their hits – they really do have a lot – but then again, they’ve been around for 16 years now. If I was stuck with just the music of 1996 – 1998, I’d be happy. They played a number of songs from their current album North, which has taken a while to grow on me, and hearing these live gave me a better appreciation of the album. 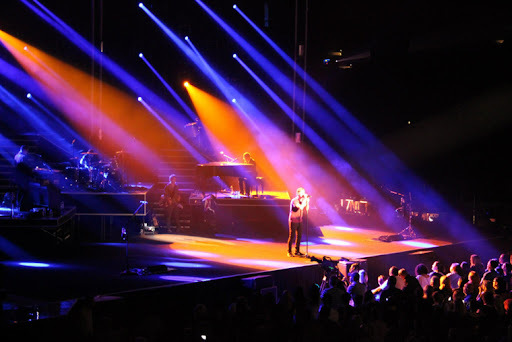 Rob Thomas didn’t have much to say on stage – he did ask us how we’re feeling now a number of times – but he certainly did have a good stage presence. His voice, his posture, his bulging eyes and beating hand against his chest – he just commands attention. He is hot. His voice is powerful. And the band play well together. They have real instruments, no computerised sounds. My highlights were when drummer turned guitarist Paul Doucette ran through the audience and around the arena – and on returning, Rob pointed out that Kirk got back to the stage prior to the song finishing – “just saying” he quipped; Kyle Cook’s guitar solo – he sat on the edge of the stage, playing in earnest; and the way the band made the songs from the mid 1990s sound just as relevant today as they did back then. They also played one of my favourites - a rarity called So Sad So Lonely - it's seedy and makes me want to dance. The show was upbeat, contained their trademark love songs, and made me think of the times their music has helped me through. It was good to see people of all generations cheering for their songs. 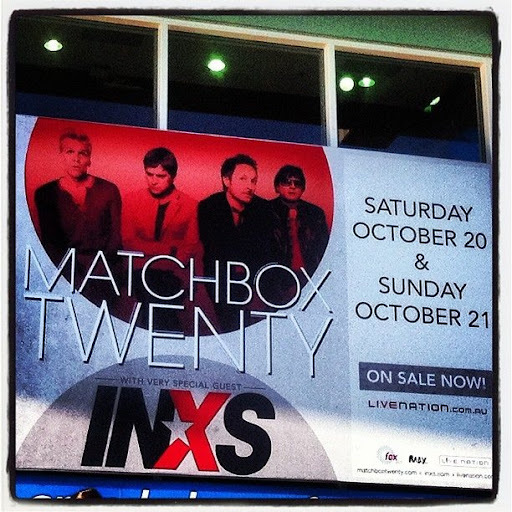 This is the fourth time I have seen Matchbox Twenty live, and I can safely say, they still have it. Oh wow reading about INXS gave me goosebumps. Soooo wish I was there! Oh, this makes me want to hear Running! Ha! I remember Evermore being pretty good live, and I have seen them twice, kinda not on purpose (they were on the bill of festivals I went to to see others!). Would be SO tough to lead INXS, so it's great to hear he and the girls are doing the band and the sound proud. 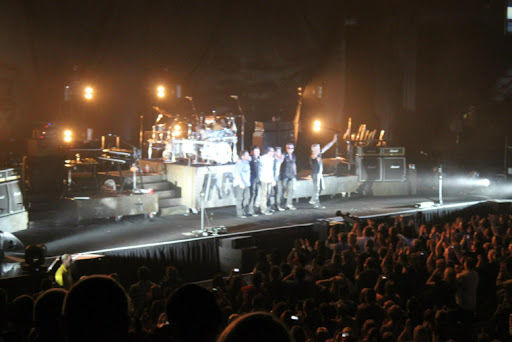 I remember Rob Thomas being pretty uninterested when I last saw them live, back when I was a fan....I think they cut a show short, and that was the end for me! I am glad they still rock your boots though, Carly! Passion for bands is what keeps the world going round, surely! Thank you for the photo credit in this post. I think the blonde girl who was singing with INXS reminded me a little of Vika and Linda Bull. Ballsy! loved it. Just wrote my own post (finally) about MB20, hope you can find some time to give it a look-see. 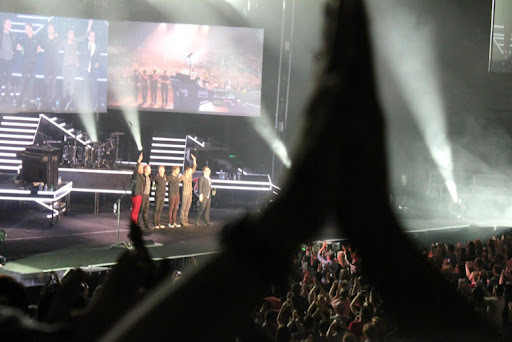 I don't want any money for the tour program, please think of it as a small measure to say thank you for Rob's concert in 2010, I really was so thankful to have gone to that concert, I hope you know that. And thank you for the advice you have provided me over time (and your company). I'm so glad we are friends. You are insightful, intelligent, funny and inspiring.